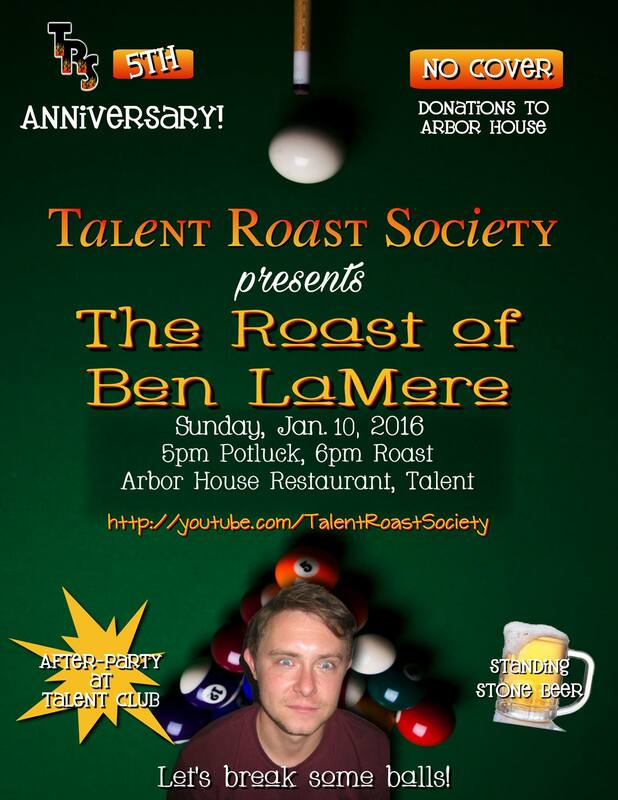 Talent Roast Society is bringing its special brand of comedy to the Arbor House Restaurant for the roast of Black Market Comedy's own Dan McClaren. Beer and wine will be available for a small charge, so 21+ please. Proceeds will go to the lovely Leah Calhoun and the Arbor House. No cover charge, but donations are encouraged. Join Black Market Comedy & The Talent Roast Society as we say farewell to BMC’s own Scott May. 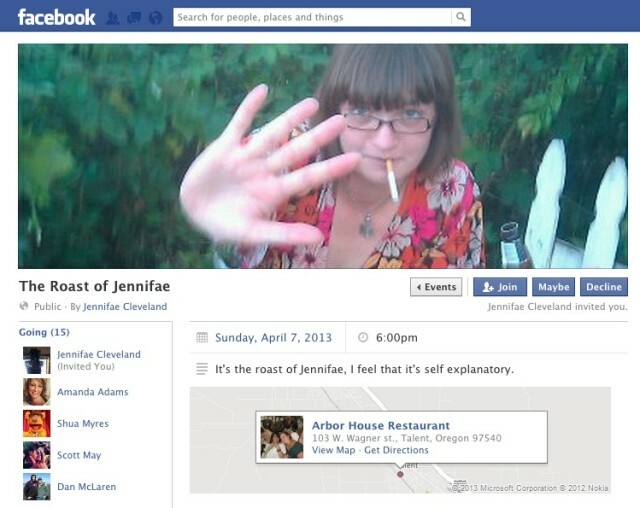 The event was held at the Arbor House in Talent, Oregon on April 7, 2013.